Se celebrará el día 23 de septiembre de 2018 en el Club Social y Deportivo Saavedra, Sta Fe 2074, Merlo Norte, Buenos Aires, Argentina. Inscripción: 12:00 – 14:00 horas. 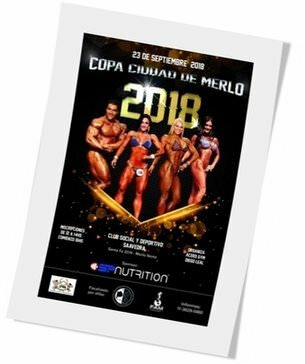 This entry was posted on martes, septiembre 18th, 2018 at 10:10 am	and is filed under Campeonatos. You can follow any responses to this entry through the RSS 2.0 feed.Both comments and pings are currently closed.